Hack PVC pipe into an inventive bathroom storage solution. When Crafting in the Rain blogger, Steph, remodeled her bathroom, she said goodbye to an ugly old cabinet—but lost some prime storage space in the process. Since her new vanity left her with little counter space and her kids weren’t yet tall enough to reach the way-up-high shelves, she knew she’d have to get creative. 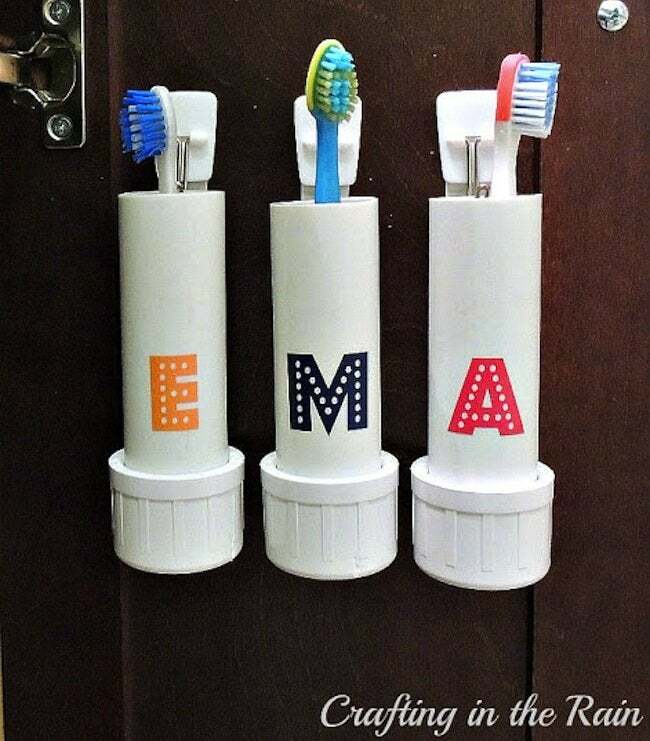 That’s where these DIY PVC pipe toothbrush holders came into the picture. With this cheap and easy material, Steph made space for everyone’s toothbrush right where the kids could reach them. And the best part is that you can make your own, too! Wash the pipes. 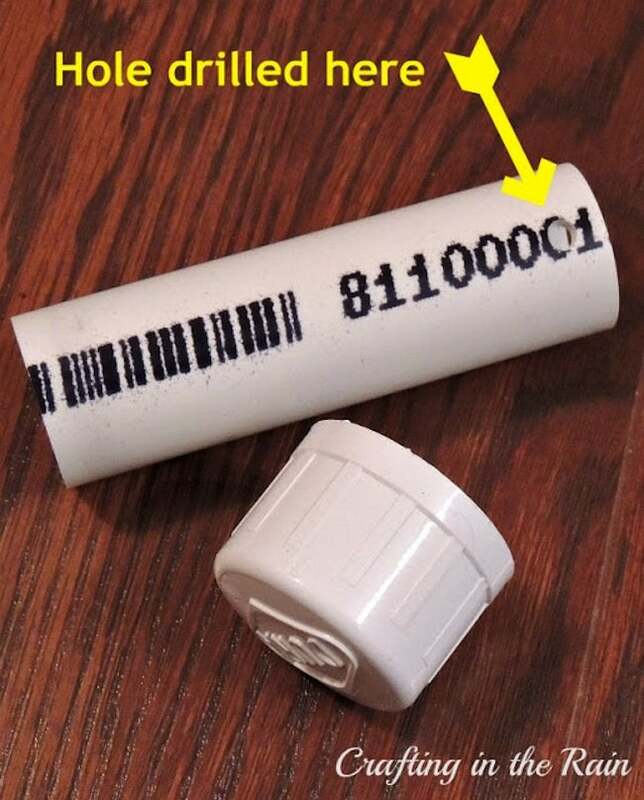 Cut vinyl initials (or use stickers) to label each holder. Add end caps; they don’t need to be glued on, and then you can disassemble them later and wash them out as needed. 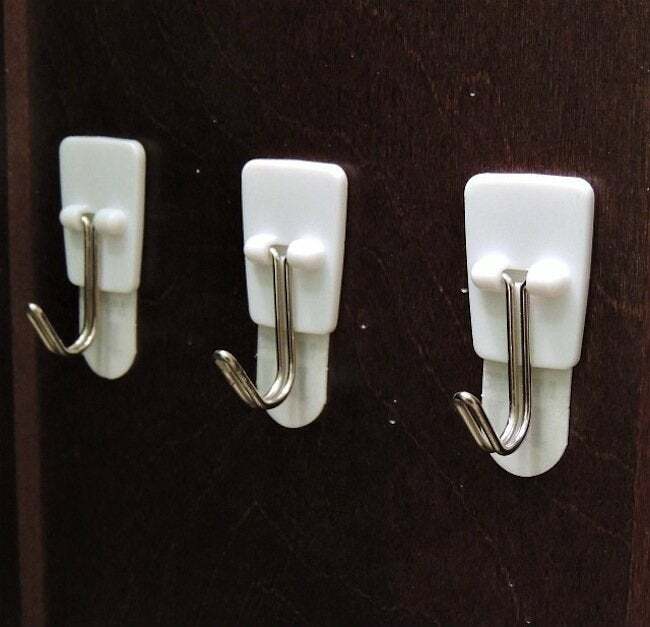 Install command hooks on the inside of the cabinet door. Our vanity is small, so more may fit in your doors if you need them. Let them set for 1 hour before hanging holders and toothbrushes. 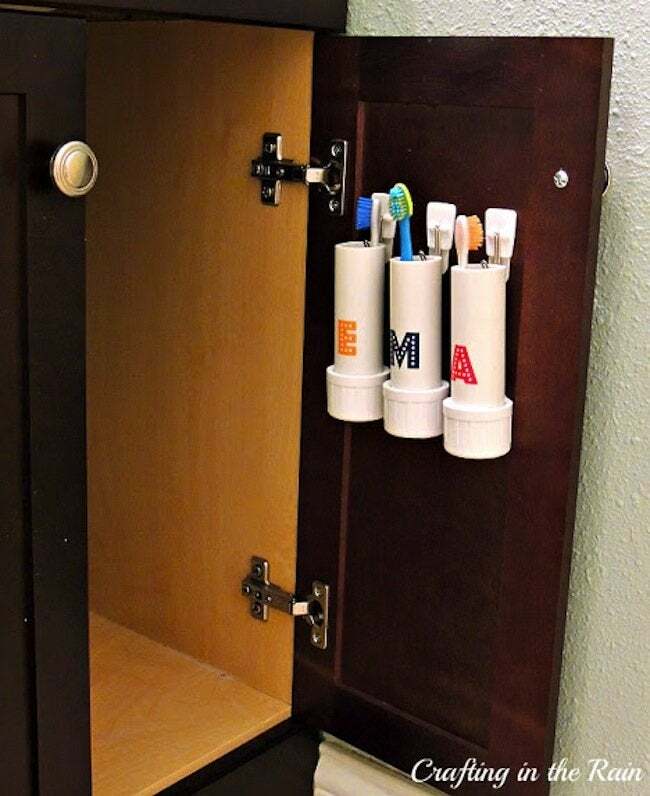 Hang your new toothbrush holders! Thanks for sharing, Steph! For more inventive DIY projects, check out Crafting in the Rain!